Anyone who has follows this blog knows that as the Director of the C.H. Nash Museum at Chucalissa, I am a big fan of AmeriCorps NCCC. Over the past few years we hosted four eight-week teams. AmeriCorps NCCC is integral to the C.H. Nash Museum’s outreach to the Southwest Memphis community. Besides writing about the Teams on this blog, I recently published an article on the experience with Ana Rea, a former NCCC Team leader. This past month the C.H. 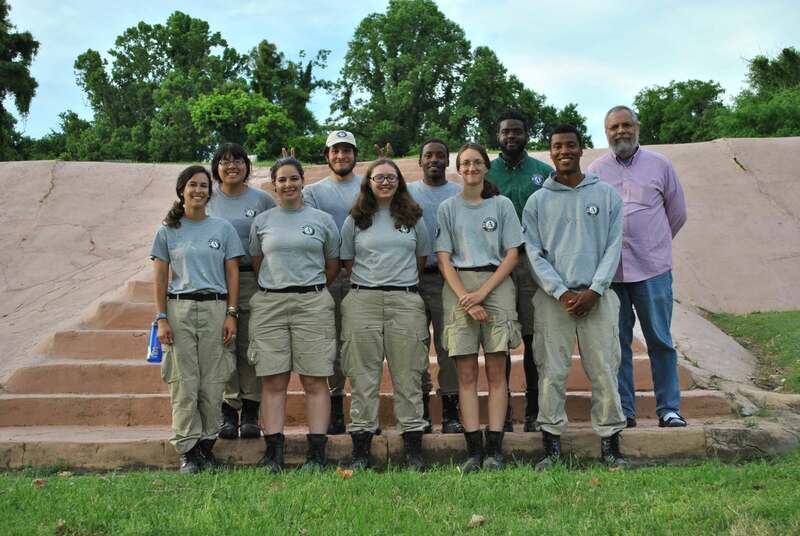 Nash Museum worked with the City of Memphis in hosting the Delta 5 AmeriCorps NCCC Team. We are currently discussing with the city administrators future partnerships to sponsor AmeriCorps Teams. I am excited that this new partnership will expand the Museum’s collaboration with the City of Memphis and result in increased service opportunities to the underserved in our neighborhood. refurbished a wrought iron fence around the Ed Rice community center pool. The community engagement aspects of the work we’ve done have been the most rewarding. In particular, it was very gratifying to work alongside the seniors at Ruth Tate Senior Center. They really took ownership of the garden, almost before it was even built. In other areas, we interacted with the community as individuals approached the team to inquire about our work. From day one, I felt very connected to the communities we were serving. prepared our Urban and Three Sisters Gardens for spring planting and performed maintenance tasks on the sweetgrass bed, herb garden and nature trail. 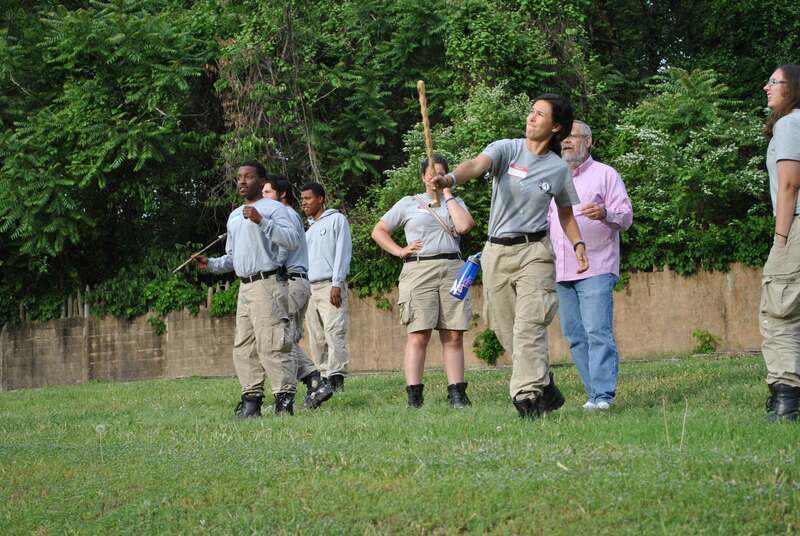 and of course, tried their hand at throwing darts with an atlatl. AmeriCorps NCCC Teams are well-suited for a diverse set of cultural heritage projects, particularly those that involve the local community. For more information on the application process – whether to host a Team or joining if you are between 18 – 24 – contact AmeriCorps NCCC.